Amazon has already started teasing customers by revealing some of the deals that sale available to buyers. Here take a look at the top deals that JBL, Sennheiser and Bose will be offering during the sale. so, let's begin. The Sennheiser HD 4.50 SE is a wireless over-the-ear Bluetooth headphone, which comes with active noise cancellation. As per the company, it can provide up to 19 hours of music playback in one charge. 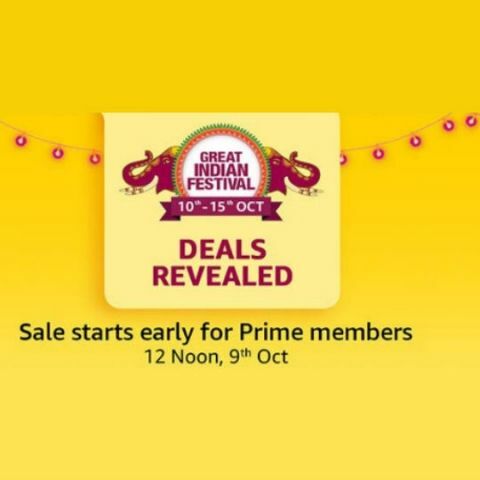 The headphone will be available on Amazon with a 50% discount during the Great Indian Festival Sale. View deal here. The Bose QC 25 is a noise canceling over-the-ear headphone that comes with a built-in mic and an in-line remote. The headphone will go on sale on October 9 for five days or till stock lasts. View deal here. The JBL Cinema SB350 is a wireless soundbar that you can connect to your TV via an HDMI cable or Bluetooth. View deal here.